We all like to try new products. They’re fun to play with, to smell and feel and to try on our skin. But what are the skin care essentials? Which types of products do we really need? With money tight these days, we need to spend it on products that really work. All the other stuff out there on the market? Go ahead and play with it—have fun! Talk to your friends about it. Make it a luxury for yourself that is part of your own self-care. Go ahead and dream that you may find the fountain of youth. But don’t mislead yourself into thinking that your hard-earned cash can get you the facelift in a bottle. And do try only one new product at time. That way you’ll know what causes a reaction if you get one. Even if it is the algae cream that cost you $150! Now, let’s take these skin care essentials one by one. I’ll tell you what to look for and recommend some products that I and my staff have tried and tested. When you think about it, cleansers are on your face for about 15 seconds twice a day, hardly long enough to have any therapeutic effect on your skin. If you have normal to dry skin, a cleanser that doesn’t dry out or strip oil off your skin is best, and a liquid cleanser, in particular, can be great for this. Contrary to popular opinion, you don’t need to feel that squeaky feeling for your skin to be clean (that squeaky feeling is just the soap stripping all your natural oils off of your skin). As long as the product is not overly irritating or drying, it’s fine. 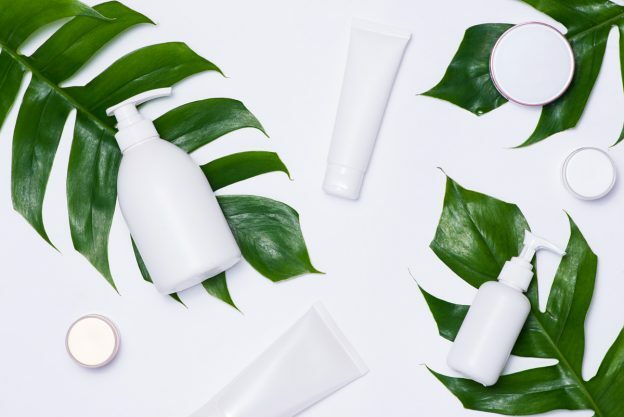 If you have very oily skin, on the other hand, you’re likely best off with a cleanser that’s formulated specifically for acne or your skin type; these do tend to be drying—a good thing for some of us. See Dr. Irwin’s Best Cleanser Recommendations. Particularly if you have dry skin, moisturizers will help to prevent fine lines and improve the appearance of your skin over time. We’ve all had the experience of being dry, applying a moisturizer, and having our skin look instantly better. In general, if you have oily skin, use a moisturizer like a gel that will hydrate (add water to) your skin but won’t add more oil. Here are some Moisturizer Recommendations I have tested and recommend. You’ve heard it before, but it’s really true: Sunscreen is the most important product you can use on your skin every day. It should be at the top of your list of skin care essentials. The more damage to your skin cells from sunlight that you can prevent, the better your skin will be for years to come. If you have pre-teen or teenage children, particularly if you live in a sunny climate, encourage them to start using sunscreen on a daily basis on their faces. Sunscreens and sun protection are the single best way to prevent prematurely aged skin, age spots, brown spots, leathery-looking skin, skin cancers, and the deadly skin cancer, melanoma. In fact, melanoma is the biggest cause of cancer deaths among kids in their twenties. There are many types of skin, with different colors, textures, oiliness or dryness, and pore size. Here I’ll focus only on the three main skin types: oily, dry, and normal. How to choose a sunscreen. Choose a sunscreen based on your skin type, your climate, and the intensity of your sun exposure. All sunscreens that are creams and lotions have a moisturizing base. Many people don’t need an extra moisturizer in addition to their sunscreen. For example, during the summer in Seattle, when we have about 30 percent humidity, I don’t use a separate moisturizer with my sunscreen. I have a normal skin type with a slightly oily T zone (forehead, nose, and chin). In the winter, however, when the central heating is on all season, then I use a moisturizer underneath my sunscreen. Here are some of my favorite sunscreen products, which I have tested and recommend to my own patients: recommended sunscreens. What about Vitamin D and sunscreens? Vitamin D is made in our skin in response to sunlight on skin. Vitamin D is critical for bone strength and now, from a recent study, seems to help prevent several different types of cancer. Many of us in northern climates and those of us who use sunscreen don’t get enough. Find out if you have enough with a simple blood test. Ask your doctor to add a 25-OH vitamin D test at your next appointment. You need between 400 and 1,000 IU of vitamin D3 (cholecalciferol), depending on your age and level of nutrition. If you are deficient, your doctor will prescribe more. Vitamin D3 is also found in milk—four glasses will give you most of what you need if you’re not deficient already. The only products that have been proven to work to reduce wrinkles at this point in time are the vitamin-A cousin tretinoin (in products like Retin-A and Renova), some antioxidants like Vitamin C serums, some hydroxy acids, and possibly creams containing cell-growth factors or peptides. Vitamin-A creams are still the gold standard for repair of sun-damaged and aging skin. They also help to prevent precancerous lesions and skin cancer. There’s nothing better available in a cream form. A true skin care essential – everyone who can tolerate them should be using one! Some women may experience irritation when using a vitamin-A cream, but if you have problems, first try washing with a gentle cleanser, applying a light moisturizer and then letting your skin dry for 10 to 15 minutes; then, use a pea-sized amount for your entire face. Renova is the best for dry or over-40-skin because it has a moisturizing base. Apply these products at night because light inactivates them. You must use a daily sunscreen if you’re using Vitamin-A creams. An antioxidant is any substance that slows or stops free-radical damage to cells. What is free-radical damage to cells? Not surprisingly, more and more creams and cosmetics feature these antioxidants. In fact, there is good evidence to suggest that some antioxidants, like vitamins C and E in a serum form, have significant preventive and repairing effects for sun damage. Specifically, we know that SkinCeuticals C E Ferulic lasts about twenty-four hours on the skin. Does sun exposure or air pollution change the amount of time that antioxidants last on our skin? How much is needed of these different antioxidants? What happens when they’re combined (as they often are), and do they even get to where they would help (the skin is a good barrier)? Since free-radical damage to the skin is constant and extensive, how much antioxidant is needed to stop it? Do internal antioxidants taken in pill form help skin in the same way and, if so, in what doses? Unfortunately, we really don’t have answers to these questions at this point. See Dr. Irwin’s Repair and Anti-Aging Skin Product Recommendations. Cell growth factor skin care products like the TNS Recovery Complex takes 3-6 months to work, so be patient. And it is quite expensive. While not a skin care essential, this can be a great addition to a skin care regimen that already includes sunscreen and Vitamin A creams with an antioxidant. That’s a lot of info, but I hope it helps you to spend your skin care dollars wisely! How can I get the most out of my products?